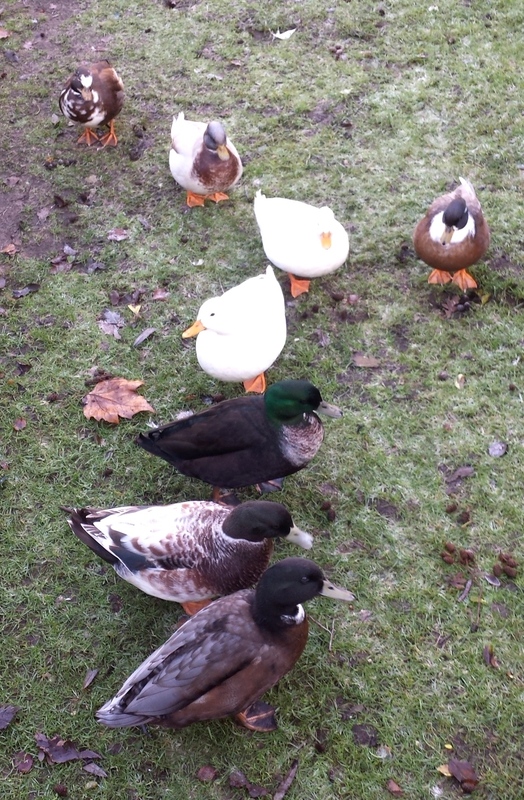 … and not forgetting the ducks! Bonnie at the front, Baby the runt WH behind, and then Clyde (Bonnie & Clyde are the offspring of two of the first ducks I hatched, Lucky and Indy); behind them the 5 Call ducks – Snowy, behind him the other white one Sonny, Charlie to the right, Barton to the left and Choccy at the back. All 8 are boys. « Correction! – Irene not Peggy! !